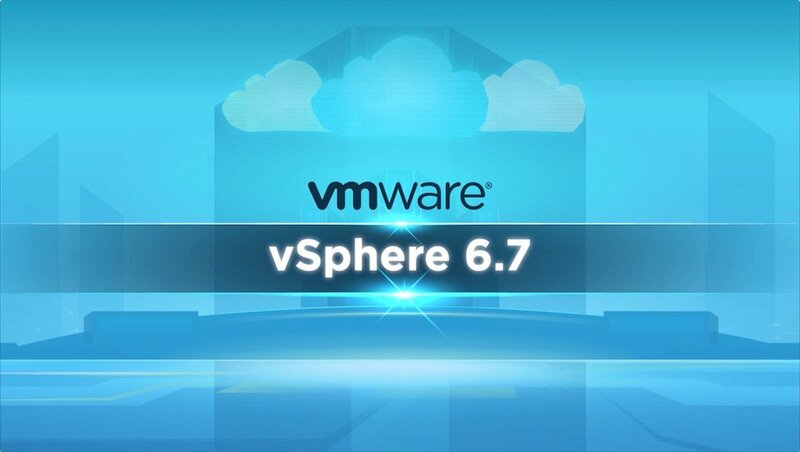 On April 17, 2018, VMware released vSphere 6.7. This includes vCenter, ESXi, and of course vSAN. A lot of people are looking to upgrade in order to take advantage of the new features, and enhancements; primarily the H5 client… good bye flash client! Links to more info on what’s new for vSphere and vSAN. From an HMTL 5 client perspective, the feature parity is about 95%. For vSAN alone, it is about 99%, as we are only missing Configuration Assist, which is still available via the flash client. I see a lot of people getting confused, and still believe that vSAN is a separate upgrade, just like traditional storage. Fortunately, vSAN is in the kernel, so once you upgrade ESXi you have also upgraded vSAN. Boom!!! Even though the version numbers may not be exact between ESXi and vSAN, they still go hand-in-hand. With that, it is important to understand the steps necessary for a vSAN upgrade. Based on the nature of vSAN, we need to follow the vSphere upgrade path. This includes checking the VMware Product Interoperability Matrices, not only with your current versions against the versions you are going to upgrade to, but also all the other VMware products such as NSX, SRM, vROps, etc. From an upgrade process perspective, you have options. You can migrate your Windows vCenter to the vCenter Appliance (recommended). If you already have the vCenter Appliance, you can either do an in-place upgrade, or create a new vCenter if you want to migrate your hosts over to a fresh new vCenter install. Here is more info on vSphere upgrades. As previously discussed, you will need to check the Product Interoperability Matrix to make sure all your products can run on vSphere 6.7. Don’t shoot from the hip, and start upgrading before you have done proper research. I mentioned the choice of migrating hosts to a new vCenter. This is something I do quite often in my labs, and it is a simple process. If you currently have other services enabled, they will have to be enabled on the new vCenter as well prior to moving the hosts. No need to disconnect hosts on the old vCenter, they will disconnect after connecting to the new vCenter. Confirm ESXi license or assign a new one. Make sure you go through and verify assignment of uplinks, failover order, vmkernel ports, etc.